Counter Opinion: It's funny the difference that packaging makes. Nikon made a mirrorless interchangeable-lens format with a 1" sensor and the internet decided that it's too small; Canon makes a compact camera with a sensor slightly larger than 4/3" and the camera is too large and too limited by its lens to really spark a lot of enduring interest. 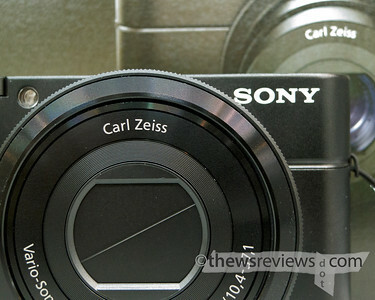 But with the RX100, Sony has combined the best of both ideas and come up with an excellent combination. 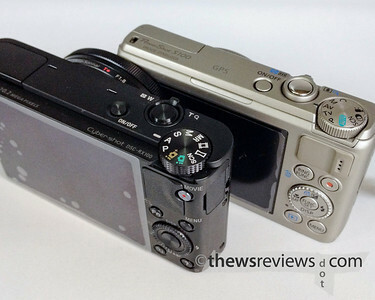 The Sony RX100 and Canon S100 share more than a passing resemblance, and while the Sony is larger, it's not larger enough to make any practical difference. While the Canon's lens is both longer and wider, it's not longer enough to be dramatically more useful, and the wider end just invites perspective and geometric distortion. If that's the sacrifice for the larger sensor of the RX100, it's a good one. As good as the image quality from the S100 is, the RX100 promises to be significantly better. The twenty megapixel jpegs look excellent, and while I haven't yet been able to play with the raw files or use the camera under adverse conditions, I'm impressed. The camera is quick and easy to use – the absurdity of Sony's two different auto modes being no less ridiculous on this advanced a camera – and while it's not cheap, it should last for years. I already own what is now the second-best pocketable point-and-shoot on the market, so I'm not in a hurry to upgrade. But the D800 has convinced me of the value of a larger pixel-dense sensor. I would love to have an RX100 as a companion to the big SLR, because it looks like this little thing is going to be capable of some serious work. Maybe when the next generation is out, and my S100 is a couple years old, it will be time for me to make the jump. That's a nice thought, but there isn't going to be a long-form review of this one, certainly not while it's still relevant. Who knows, maybe when it's reaching the end of its life and costs a lot less… but even then, probably not. My S100 is good enough and still pretty new. It's great to see the enthusiasm this camera is getting – it might actually be able to deliver where the G1x and X10 don't quite manage. And I could see carrying it instead of my GH1, too. If this camera had been available when I purchased my E-P2 I might have seriously considered it instead of the E-P2 kit. But then that's a silly sentiment to express since the technology that makes it up didn't exist nearly three years ago. I am now into small powerful cameras in very a serious way. I might talk about large cameras (Nikon D800, for example), but I can't afford a large camera any more, and I don't mean financially. I have the Pens and live with their limitations because they are so small in comparison to regular DSLRs, yet still so good for what they do provide. This is the kind of camera that will resurrect the P&S cameras and seriously compete with the mirrorless interchangeables. I'm just happy to see competition. I think you and I can both remember when everyone was just chasing "good enough" and the medal for winning any race was a meager bronze. If we oversaturate with options, as long as they are good options, I'm happy. Give me the G1x, X10, RX100, S100, Nikon V1, EOS-M(was this not a battle mech from a Japanese cartoon?) and M4/3. We all know consumers are as picky a group as any, so toss another hat in to the mix and let them see what fits. For myself, the OM-D E-M5 seems like the perfect little combination of acceptable losses, but if the RX100 fits that roll for another, and is usable, then that's great also. I like that it exists. I enjoy that it is helping to move a dedicated camera store away from the sub two hundred dollar P&S market(it's all yours box stores). There is good, and there is good enough. I'll keep my fingers crossed for the Sony RX100 in the upcoming weeks.